The perfect weekend in nature. 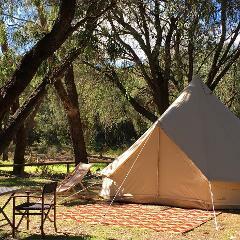 Come stay in one of our beautiful 4-meter Luxury canvas bell tents. Fitted out with everything you need for a cosy getaway under the stars. Get out into nature, with comfort and ease. 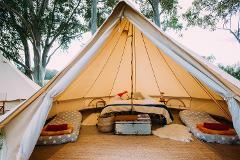 Sleeping under the stars in one of our 5-meter bell tents is a unique experience you won't forget. With all the hard work done just arrive and get straight into relaxing.